Drop us a line if you have any questions or click below to make a reservation for your next visit. Directions to help you find us. (Approximately 2 hr. 20 min. through Leadville) – Travel west on I-70 to exit 195. Take Colo. Hwy. 91 south to Leadville. Proceed 15 miles south of Leadville on East U.S. Hwy. 24 to Colo. Hwy. 82. Turn right/west, on Hwy 82 and continue 11 miles (4 miles past Twin Lakes Village). PLEASE NOTE: You can safely travel to Mt Elbert Lodge all year around. The map’s reference points for the closure are incorrect. 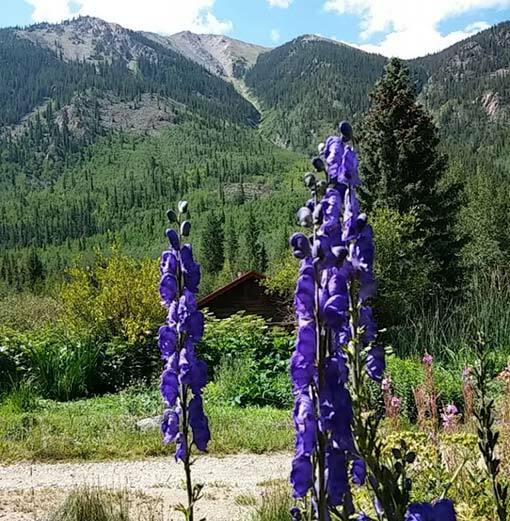 Highway 82 is closed 7 miles above our location in the winter so you cannot drive over to Aspen but you can freely travel east towards Leadville or Buena Vista. The lodge is 30 miles east on Colo. Hwy. 82, 13 miles down from the top of Independence Pass. This route is not available mid November to Memorial Day as the Pass is closed. Follow U.S. Hwy. 24 north 19 miles to Colo. Hwy. 82. Turn left (west) and continue 11 miles (4 miles past Twin Lakes Village).